‘Tis the (ski) season and visitors are starting to trickle into the lift lines – and into town. Lucky for us, along with the increase in traffic, there is an increase in fun activities! We’ll be doing our best to provide an additional event guide – this one for the weekdays – through the holidays. Here’s hoping for a happy holiday season – and for more SNOW! 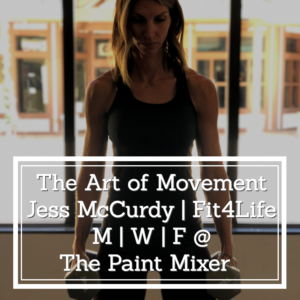 Start the day with a 45-minute strength and conditioning class at The Paint Mixer! A one hour class with 30 minutes of HIIT and 30 minutes of yoga at The Paint Mixer. A 60-minute strength and conditioning class at The Paint Mixer. All classes are taught by Jess McCurdy, founder of Fit 4 Life, whom we have profiled here. Jess’ mission is to empower people by providing a program to become stronger, healthier and develop a love for exercise as part of the Fit 4 Life community. Another fun game to play at Lucky Ones – BINGO! All joiners are welcome each week, and there are even small prizes for winners. You know this one – it’s the story of Clara and the present her odd uncle brings to the family’s Christmas party, which becomes the story of the Nutcracker Prince and his fierce battle against the Mouse King. 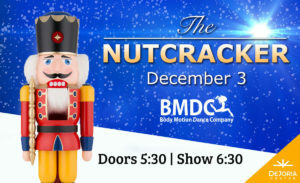 Performances at 6:30 PM on Monday and Tuesday nights by Body Motion Dance Company. Each Tuesday morning, bright and early, the Park City Toastmasters Club gathers to improve speaking, leadership, and communication skills. Membership is open to anyone who wants to achieve those ends; interested parties are invited to attend the first visit as a guest, where you will have the opportunity to see how the meetings are run and learn the benefits of being a member. Plenty and a group of Park City idealists will gather for a “morning of meaning.” The group will share a healthy breakfast and explore what everyone is hopeful for. Plenty’s co-leaders invite you to connect, awaken, inspire and be inspired. The event is complimentary, but registration is required – visit the website for more information. Join in at the L.L.Bean tent, in the new L.L. Bean store on off Main Street, for storytime! Each story session follows a different nature or outdoor theme, with related activities, games or crafts to follow. Appropriate for kiddos from 3 to 6; caretakers need to stay with them – and are welcome to join the fun or spend the time shopping. Registration is required – head to the website to do so. Did you know – sliding events at our own Utah Olympic Park here in Park City are free and open to the public? And one is coming us this week! The FIL Junior League World Cup is an international luge event in which the best up and coming young luge athletes compete! Check the website for the full schedule. A lovely service provided by our fabulous Park City Library: you are free to schedule an appointment with a librarian for help with your personal device. Bring in your laptop, tablet, or phone and they will help you navigate tech frustrations during a thirty-minute (!) session. Call the library at 435-615-5600 to schedule. Each Wednesday, from 4-5 p.m., Park City Library hosts an afternoon of crafting! 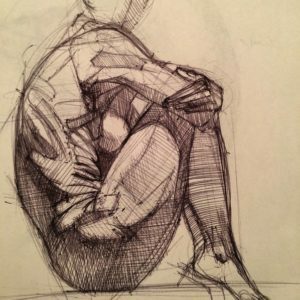 Attend this free event, make, and then take, your artsy and fun project every week. Ok – SIGN US UP for this one. 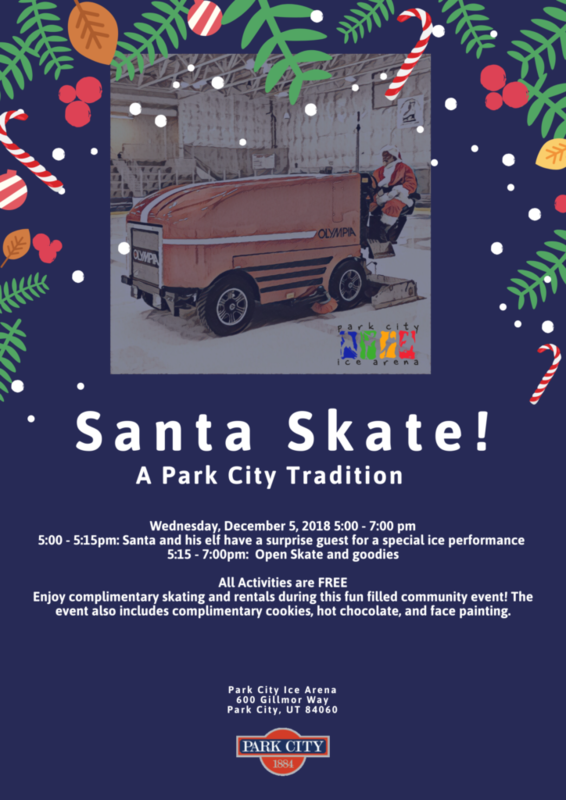 Park City Ice Arena is a hidden gem in our community, and they frequently hold free skating events – like this one, with the BIG GUY. Come on Wednesday evening to enjoy complimentary skating –and rentals– during this fun-filled holiday event! Not only do you get free skates and ice time; you also get to enjoy cookies, hot chocolate, and face painting – all of it complimentary. 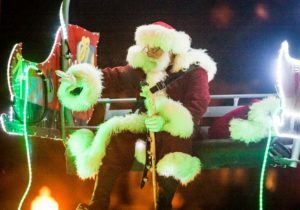 Be sure to be there by 5 – Santa and his elf have a surprise guest for a special ice performance! Open skate + goodies get going at 5:15, and last ’til 7 p.m.
Come meet local treasure and Olympian Shannon Bahrke Happe at the Park City Library, as she reads her children’s book, “Mommy, Why is Your Hair Pink?” She will also bring her Olympic medals – Silver and Bronze! – for attendees to get a close-up look. Books will be available for purchase and signing. More creation fun at the Kimball Art Center with Open Studio. 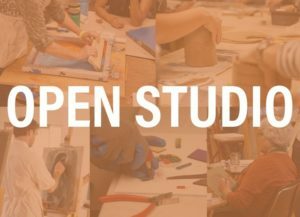 You have your choice of two out of the five condensed art classes in ceramics, warm glass fusion, screen printing, painting, and drawing. Demos from teachers, all art materials, hors-d’oeuvres, and personalized instruction are all included; a cash bar is also available. One of the pioneers who helped create the world wide web is asking you to delete your social media accounts. Reservations are required 48 hours in advance; call 435.649.1400 (21 and over). This book club is free and open to all who wish to attend – the only requirement is to have read the book! Even better, if you mention that you are planning to join in the discussion, you get 10% off if you purchase the title they’re talking about. Photo from Park City Museum’s website. 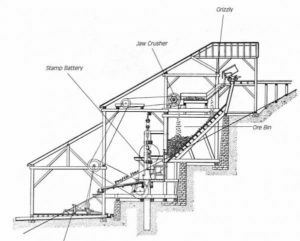 The public is invited to attend “Shiny Rock to Silver Bars: A Brief History and Explanation of Milling and Refining in Park City” lecture by mining engineer Donovan Symonds. How were the ores mined in Park City turned into silver, lead or gold bars? Why were they crushed and concentrated? Practical demonstrations and videos will explain the processes involved in sorting the ores into concentrates and tailings. Donovan, a long-time resident of Park City, is a retired consulting mining engineer. He has enjoyed being a museum docent for about 8 years. – Meghan Zarnetske, instructional coach and social justice teacher at Treasure Mountain Junior High, will moderate. This screening is part Park City Film’s Reel Community Series, the nonprofit’s longest-running community program, which introduces films to expand viewers’ views of the world – and connects them to other members of the Park City community. “bias” is underwritten by the Women’s Giving Fund (a project of the Park City Community Foundation). 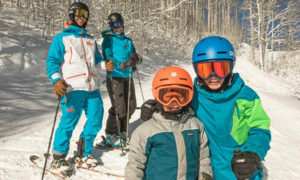 Park City Mountain has always been the place to go to enjoy a comfortable learning environment for beginners of any age. That remains the same, but this year, there is going to be a whole new area in which to learn and where beginners, kids, and families will experience a whole new level of comfort. The brand-new High Meadow Park is an entire dedicated area for learning, with gentle terrain and new snowmaking, which will create terrific surfaces for new skiers and snowboarders. The brand-new Candy Cabin offers a place to take a rest and grab a snack, and getting there easy, too – there’s a new, detachable high-speed four-passenger lift. This classic spot, the Mid-Mountain Lodge, is beloved by just about everyone who has ever clomped in its door. The building is more than 120 years old and originally functioned as a miners’ boarding house. The renovation pays tribute to our community’s rich mining heritage and offers a cozy spot to warm up and fill up. Additional indoor seating is welcome news to those among us who have waited, snow dripping off our boots, to enjoy the food and a beverage. There’s also an upgraded dining area, newly “crafted chef-driven menus,” and a full-service bar. More than 200 seats have been added to this modern bistro, which sits right on top of a Wasatch Range ridgeline, so guests here get to sit back and take in the unbelievable views. This restaurant is known for “foodie- approved” cuisine and its spectacular presentation, and now, there’s even more room to enjoy all of it. 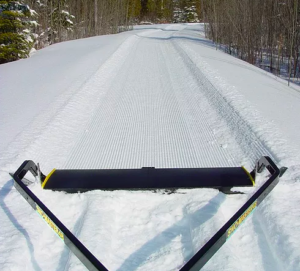 Most of the mountain will be open to exploration even earlier thanks to new snowmaking capabilities on Red Pine Road, a major connector trail off of Tombstone Express. More snow means the trail will open earlier in the season and provide access to even more terrain across the mountain. 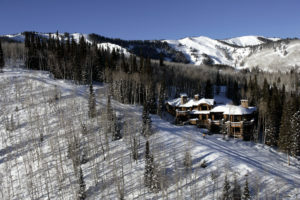 More than 50% of the Park City Mountain’s Canyons Village terrain can be found within the boundaries here at The Colony. 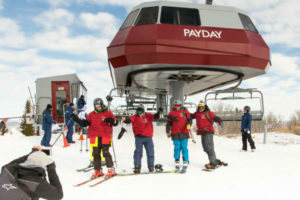 Even better, the high-speed Quicksilver Gondola, which zips riders from one side of the enormous resort to the other in mere moments, is also inside The Colony. 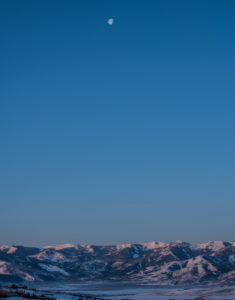 The Gondola is directly accessible for Colony homeowners in possession of a lift ticket – which means that the entirety of the Park City Mountain land is right outside the door – and at their ski tips. This unmatched access means skiers and snowboarders enjoy everything from first tracks on a powder day to perfect corduroy groomers (more than 120 trails are groomed each night) throughout the season. Also easily accessible for owners – The Colony’s own private seasonal Yurt, where lunch is served, owners and friends can warm up during the day, and aprés and dinner events can be enjoyed. 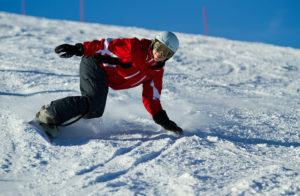 For more information on the unique ski-in/ski-out access here at The Colony, please be sure to reach out to our Sales Team! There are so many awesome autumn activities that you will be busy for DAYS if you try to hit them all. We have compiled the most complete guide to your fall-themed fun festivities. and you can find it RIGHT HERE. 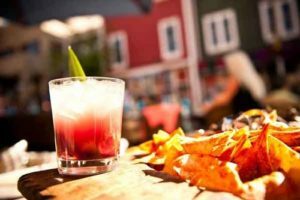 There are plenty of other things to do this weekend here in Park City, of course, so here’s the rundown of the best of the rest! Trust us, if your little ones can bear to be away from their favorite friend for the night – they will LOVE. IT. 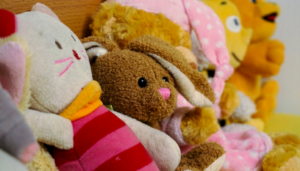 Here’s how it works – you and your little one drop off the favorite (or maybe third-favorite) stuffed animal at the Park City Library. Then – the stuffed friends sleep over – and get into a bit of mischief – at the library, where super-secret cameras capture evidence. When you pick up your friend tomorrow morning, you’ll get to enjoy the pictures of all the adventures they had. Animals should be picked up by noon on Saturday. The Little Gym of Park City is now open in the Iron Horse District – and hosts a Parents’ Survival Night every Friday. Children ages 3 to 12-years-old get to burn energy in the gym, make crafts and eat snacks – while parents get a nice break. 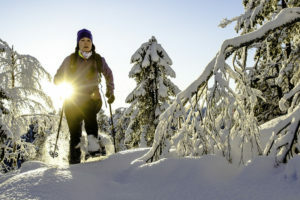 Time for the winter edition of the Nature Walks – where some of the walks turn into snowshoe sessions! Learn about wetland science, natural plant and animal species, and the history of the Swaner Preserve, search for and identify animal tracks and other signs of animal life. 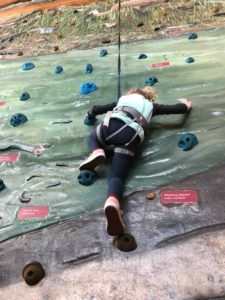 Swaner indicates that the outing is appropriate for all ages and takes place on generally flat terrain with a slight uphill grade – which could be challenging for younger children and some seniors. Participants should wear sturdy, warm boots, snow pants, hats, gloves, a coat, and bring a water bottle. Snowshoes can be rented from the EcoCenter – $2.50 for members, $5 for non-members. Copper Moose Farm operates on 3 acres, with a 2,400 sq ft passive solar greenhouse and two hoop houses. 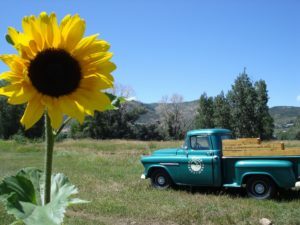 The Farm provides organically-grown vegetables and cut flowers for the Park City community. 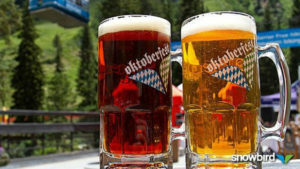 Time is quickly draining for you to attend the annual Oktoberfest at Snowbird! The brew-fest is a family-friendly affair with fun, food, and, of course, practically bottomless brews. If you haven’t gone yet – or you want to hit it up again – Saturday and Sunday will be your last chances. The annual festival includes a biergarten with more than 50 (yes, FIFTY) varieties of beer. The selections range from German-style brews to locally-crafted suds from Utah breweries (including Moab Brewery, Bohemian, Uinta, and Squatters), and you can save a few bucks on the beers by re-using one of your previously-purchased, 1-liter Snowbird Oktoberfest beer stein or mug (you know you have one. Or ten.). Not into beer? No problem. A wine garden awaits and you can revisit your college drinking days in the Jagermeister tent. Of course, with all those drinks, you’re gonna need some food. Grab a brat, or some weisswurst, sauerkraut, apple strudel, spaetzle, beef rouladen, pretzels, and Bavarian roasted almonds. Beer and food are purchased a la carte. The brewskis flow from noon until 6:30 p.m., but get there this weekend because the keg is kicked till next year on Sunday! This exhibit is seriously catching people in its net – and it just so happens to be the largest arachnid exhibit in the United States. The exhibit guides visitors to explore connections between arachnids and literature, art, folklore, paleontology, science, and history. You’ll see 100 live arachnids (!) 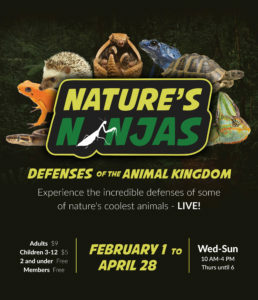 and experience hands-on activities – hopefully, the live arachnids are not the hands-on activities, but you’ll have to go see it in order to find out. INSIDER TIP: They feed the spiders on Thursdays – so that is a great time to go see some action. This exhibit is available to read and listen to in both Spanish and English, and is free for members; for pricing and other info, click here. Swaner Preserve & EcoCenter offers a nature-themed craft every Sunday, from 11 a.m. to 1 p.m. All ages are welcome. Never in history have we (ok, some of us) been more inundated with images – at least from a social media perspective. Landscapes, pictures of home design and architecture, candids (does such a thing even exist anymore?) but especially the new self-portrait – those supernumerary selfies – are shared and consumed relentlessly across social channels. 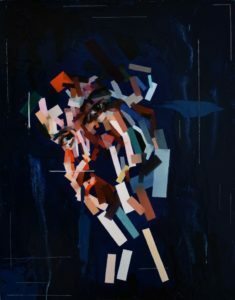 “Established tropes are both embraced and reinvented, presenting diverse approaches to portraiture as a means of commemoration, reflection, and social critique. From faithful likeness to fantasy and fracture, the power of portraits is that they are about more than what we look like; they reveal who we are.” Admission is free; the exhibit will run through November 4. 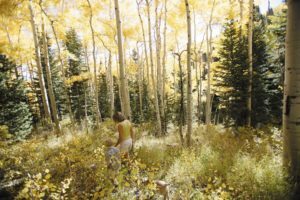 Park City’s own renowned landscape photographer Tom Kelly is back with a new gallery show! This one takes a look at rural scenes discovered on back road highways. From the wide-open deserts and plains of the west to the cornfields of America’s heartland, his images show the countryside we usually miss in our travels. You’ll find the Artique Gallery at 283 N. Main St, Kamas. 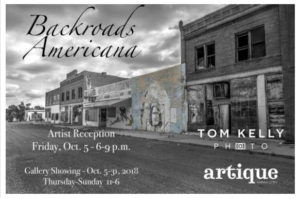 Tom’s exhibit runs through October 31, 2018. 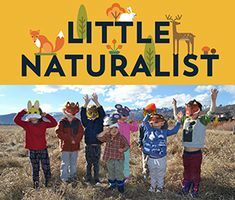 Little Naturalist is a program where 3- to 5-year-olds get to learn about animals, their habitats, the environment, and nature. Twice a month, October through May, your little ones will read a nature-themed book, explore the natural world, and complete a craft. This Monday, the books will be: “From Seed to Pumpkin,” by Wendy Pfeffer & Autumn; along with a pop-up book by David A. Carter. Kiddos will also get to paint their very own pumpkin; other activities in this series can include snowshoeing on the Preserve, playing with live reptiles and amphibians, and upcycling old materials into holiday decorations (sign us up for an adult version of this class, please!). Cost is just $2.00 per child, with an option to buy a $15.00 punch card good for 10 programs (and it never expires!) One caregiver must accompany children to participate. Please be prepared to be outdoors! It’s no surprise that parents and children operate at their best when they are surrounded by caring people working to ensure they reach their full potential in a supportive way. Participants in this workshop will learn new strategies to help families build protective factors and enable children to thrive. This is a free event. Two weeks will be spent learning practices from each foundation; classes are taught by mindfulness expert Rebecca Brenner. The course repeats each Tuesday evening through December 11, 2018. Prop 4: Solution or Mistake? Gerrymandering is the practice of the political party in power of drawing boundaries for voting districts to favor themselves in future elections. The Project for Deeper Understanding will examine whether Proposition 4 a wise approach to solving the issue, whether there could be unintended consequences – and if it will really affect how the political system functions. Every citizen is invited to attend the forum, which is free, and will feature an hour of panel discussion will be followed by audience Q&A. Write these in your calendar! October 25, 26, 27 → Fall Dumpster Days @ Recyle Utah; 9 a.m. – 4 p.m.
Tuesday, October 30 → Last day to register to vote online or at your county clerk’s office. 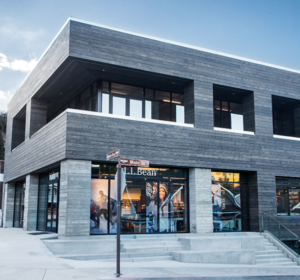 The Colony is just 35 minutes from Salt Lake International Airport and minutes to Park City’s historic Main Street, home to the Sundance Film Festival and world-class dining and shopping. 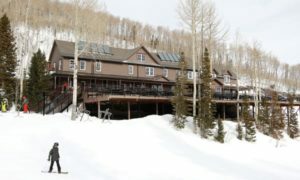 The snow paid Park City a visit this week and stayed long enough to get us all very much looking forward to ski season. You don’t need to wait a few(ish) weeks for this weekend’s activities – here’s a list of fun you can look forward to right this second. Admission is free; the exhibit will run through November 4. 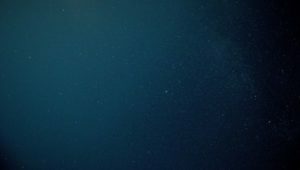 From the Park City Film Series website: “Puzzle” is a portrait of a devoted wife and mother who has reached her early 40s without ever venturing far from home. She feels stuck in her mundane existence but that begins to change when she receives a jigsaw puzzle as a birthday gift. She is a puzzle wiz, which leads to a U.S. puzzle championship and an unexpected romance. Head over to Kimball Art Center for an afternoon full of family-friendly, free and low-cost, fall-inspired art activities! Light refreshments and bar beverages will be available for purchase. Activities like paint-your-own-pumpkin-patch, leaf printmaking, trick-or-treat bag decorating, pumpkin painting, ceramics demonstrations, a beer & wine garden, live music, and more will be available. 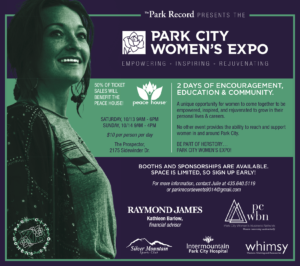 Billed as two days of education, support, and community, the Park City Women’s Expo will feature booths, presentations, and “how-to” tutorials. Panel discussions; financial advice; intuitive practices for everyday life; self-defense; fitness, health, and nutrition; the importance of sleep (and how to get more! ); business and career help; cooking; hair and makeup; beauty demos; fashion shows; car maintenance instruction — and more! The expo is $10 per person each day, at The Prospector on Sidewinder Drive, with 50% of the fee going to benefit the Peace House. 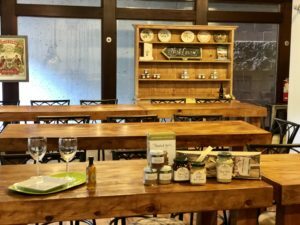 Sunday hours are 9 a.m. to 4 p.m.
A look at the event & class space at Mountain Town Olive Oil. 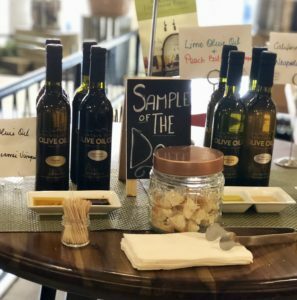 The Next Course is a weekly food and wine pairing class in the Mountain Town Olive Oil’s gorgeous event space. 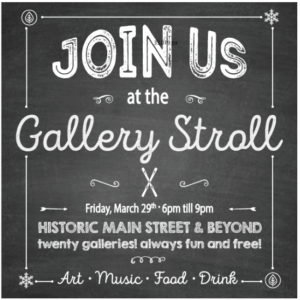 Join in this week at the store, on Historic Main Street, for the Game Day Munchies! Class starts at 11 a.m.; to reserve your seat, call 435.649.1400. Cost is $50 per person | optional wine pairing is $15. The rivalry rages on. 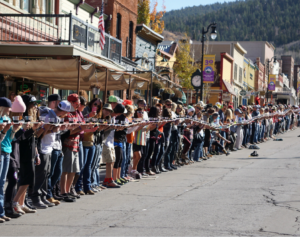 The competition to beat Breckenridge, Colorado heats up again today — all for the glory of holding the record for the world’s longest shot ski. All new this year, Sunrise Rotary has teamed up with High West Distillery to offer participants a shot of Rendezvous Rye whiskey (instead of the traditional shot of Wasatch beer). $25 will get you a spot on the shot ski, a souvenir glass, and a token for a High West drink at one of the afterparties. The best news – proceeds will go to the Sunrise Rotary Club’s Grant Program (which benefits 20 community organizations). The shot ski tends to sell out, so get your tickets early — and be a part of history. The Paint Mixer, right off of Historic Main Street in Park City, makes painting accessible to literally everyone – skill & talent not required! The instructors guide participants in a step-by-step process – and the result is a beautiful painting. 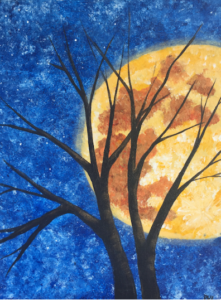 Tonight’s picture will be “Midnight Moon” – the paintings change for each event – you can see the gallery HERE. 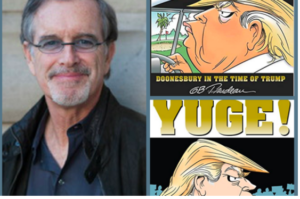 Pulitzer Prize-winning “Doonesbury” creator, and social observer, Garry Trudeau, will give a talk about his view of the political landscape in his latest books,” #SAD! : Doonesbury in the Time of Trump, and YUGE! 30 Years of Doonesbury on Trump” (whew!). His insights on our current president will be accompanied by visuals from his nearly five decades of award-winning editorial cartooning. Click here to buy tickets. 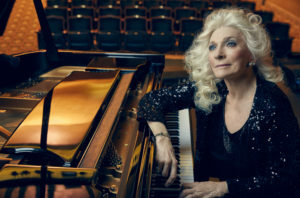 Judy Collins has inspired audiences with her 50-album (!) 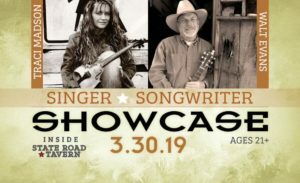 body of work since the 60’s, and the award-winning singer-songwriter will be on the stage at the Egyptian Theatre, performing her interpretations of traditional and contemporary folk standards, along with her own original compositions. Enjoy the beauty of Deer Valley Resort with a three-to-four-hour guided hike. The hikes cover moderate terrain and are typically less than six miles long. Participants are asked to dress for the activity and the weather – and to meet at the Sterling Express Chairlift. Hikes leave at 8:30 a.m. Reservations are required and a $10 fee applies. To make a reservation, you’re asked to call 435-645-6648. Swaner Preserve & EcoCenter offers a nature-themed craft every Sunday, from 11 a.m. to 1 p.m. All ages are welcome! Today marks your last chance to enjoy the annual Park City Dine About! 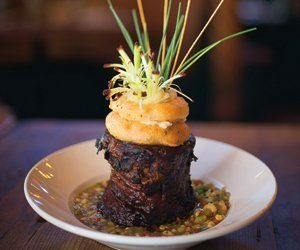 24 Park City restaurants have participated – and you have just one day left to take advantage of seasonal (hugely discounted) two-course lunches and three-course dinners at these spots. With the discount, lunches end up at about $10 or $15 per person. The three-course dinners are between $20 and $40 per person. Participating restaurants: Café Terigo, Café Trio Park City, Chimayo, Deer Valley Grocery~Café, Element Kitchen & Bakery, Firewood on Main, Flanagan’s on Main, Fletcher’s Park City, Grappa, Handle, Purple Sage, Red Rock Junction, Red Tail Grill, Riverhorse on Main, Riverhorse Provisions, Shabu, Silver Star Café, Squatters, Sushi Blue, The Brass Tag, tupelo, Twisted Fern, Versante and Wasatch Brew Pub. The event runs through October 14. Peter Rock, author of “My Abandonment,” will discuss the book to film adaptation process. The film “Leave No Trace,” was featured in last year’s Sundance Festival. Lunch tickets are Tickets are $40 in advance and $50 at the door. This event is held at Silver Lake Lodge at Deer Valley. As part of the Annual Utah Humanities Book Festival, you’re invited to join in the free community conversation with author Camron Wright of “The Rent Collector” at the Jim Santy Auditorium. Presented by the Park City Education Foundation. This week’s Park City Event Guide is sponsored by Mountain Estates Property Management. Mountain Estates is a full-service property management company which offers full-home maintenance, security checks & upgrades, snow removal, holiday light setup & takedown, ski tuning, grocery shopping, airport pickups – anything you need. The first consultation is free and the company will tailor a plan to your needs. This year, Mountain Estates announces a brand-new offering for Colony homeowners – professional grooming of your private ski-in/ski-out. They will create a perfectly-groomed trail for you and your guests that will make starting and ending your days a breeze. They invite you to visit their Facebook page or contact the owner for details: 435-901-8170. After this week’s rain and the (finally) bright fall colors – there’s SNOW in the weekend forecast! If you haven’t gotten out your warm-weather clothes, now’s the time. While snow may not be a guarantee this weekend, here are some events you can definitely count on to happen. The annual Park City Dine About is in full swing! 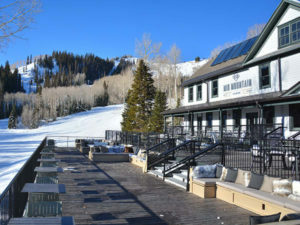 24 Park City restaurants are participating – which means, throughout the course of the two-week event, you get to take advantages of seasonal (hugely discounted) two-course lunches and three-course dinners at these spots. With the discount, lunches will end up at about $10 or $15 per person. The three-course dinners will only set you back between $20 and $40 per person! Participating restaurants include: Café Terigo, Café Trio Park City, Chimayo, Deer Valley Grocery~Café, Element Kitchen & Bakery, Firewood on Main, Flanagan’s on Main, Fletcher’s Park City, Grappa, Handle, Purple Sage, Red Rock Junction, Red Tail Grill, Riverhorse on Main, Riverhorse Provisions, Shabu, Silver Star Café, Squatters, Sushi Blue, The Brass Tag, tupelo, Twisted Fern, Versante and Wasatch Brew Pub. The event runs through October 14. The Paint Mixer, right off of Historic Main Street in Park City, makes painting accessible to literally everyone – skill & talent not required! The instructors guide participants in a step-by-step process – and the result is a beautiful painting. 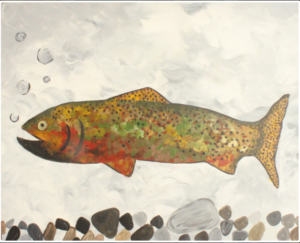 Tonight’s picture will be of a Provo Trout – the paintings change for each event – you can see the gallery HERE. “Eighth Grade” is the feature film debut from comedian Bo Burnham, and is said to be a moving and darkly funny film. It follows thirteen-year-old Kayla, who endures the tidal wave of emotions that follow her through the last weeks of middle school–the end of her eighth-grade year before she begins high school. “Eighth Grade” premiered at the 2018 Sundance Film Festival. The show plays 8PM Friday and Saturday; 6 PM Sunday. This is the only trail 5K in Summit County! The South Summit Trails Foundation says it’s challenging, fun, and beautiful! 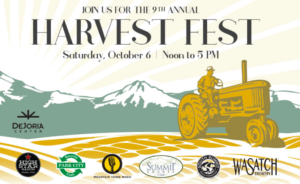 Register HERE – and then stay for the Harvest Fest fun. Join in the fall fun at the 9th Annual Harvest Festival at the High Star Ranch in Kamas! The Harvest Fest will feature food from Lola’s Street Kitchen, Praise Cheezus, DeJoria Center, Tacos el Sombrero, and Wasatch Creamery. 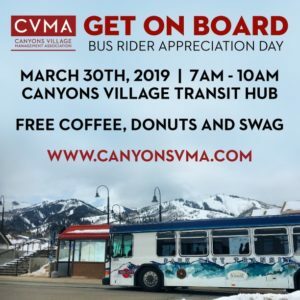 Adults can also enjoy Wasatch Brewery beer served by Deer Valley Resort bartenders, and there will be live music from Che Zuro, Streetcorner Boogie and Honky Blue Tonky. Families will be able to buy apples and pumpkins, take wagon rides, and enjoy shopping for local goods from dozens of vendors. 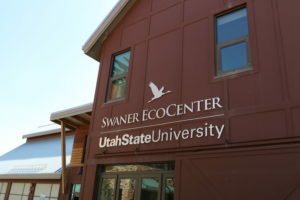 The Harvest Fest is put on by Recycle Utah and functions as one of its major fundraisers. The outdoor fair is meant to promote sustainable living by showcasing local businesses and entrepreneurs. Part of fall fun is getting ready for Halloween – and what could be more spooky than the Utah Paranormal Expo? 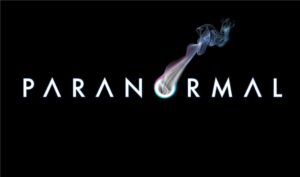 The event is described as a way to “explore phenomena folklore, mythology, supernatural, and other non-scientific bodies of knowledge, whose existence within these contexts is described to lie beyond normal experience or scientific explanation. There will be celebrity panels and presentations, activities throughout the day, and a discussion forum. The event is family-friendly, and kids 12 and under are free. The wives of the Park City Police Department are handing out blue ribbons and blue lines for cars to help the community show appreciation to our local law enforcement officers. You’ll also have the chance to personally thank a police officer. 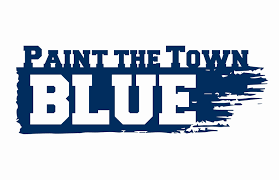 “Paint the Town Blue” is an event that invites the whole community to decorate businesses and homes in blue for the entire day of October 6. 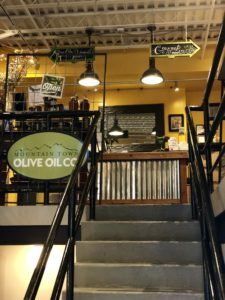 Head on up the stairs to discover Mountain Town Olive Oil. Call 435.649.1400 to reserve your spot. Dr. Norman Jones, Professor of History at Utah State University and Chair of the Utah Regents’ General Education Task Force, will speak on leading efforts to improve general education. A light reception will follow, with a cash bar and light hors-d’oeuvres. RSVP HERE – or call 435-764-1733. The event is free but has limited seating. See your favorite book on screen for free! 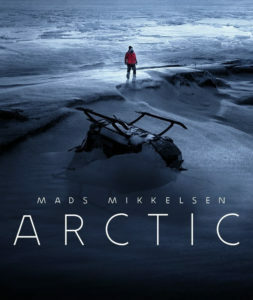 This “Books 2 Movies” series is put on by Summit County RAP, Park City Municipal Corp., the Park City Library, and the Park City Film Series. If Thriller at Egyptian Theatre isn’t already your family’s Halloween tradition, it’s time to make it so. 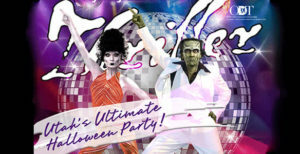 What could be more fun than Odyssey Dance Theatre’s Thriller, dancing monsters and raging maniacs? The only thing we can think of is reduce pricing – which is in effect this weekend only. Because of the content of the show, it’s recommended for children 12 and up. 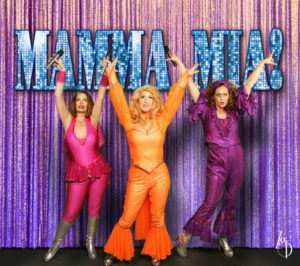 Most shows are at 7:30 p.m.; Sunday shows begin at 6. The show runs through October 7. 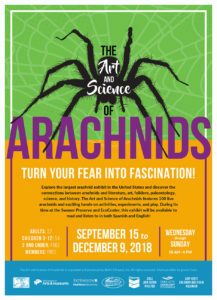 The largest arachnid exhibit in the United States is right here in our backyard through December. The exhibit guides visitors to explore connections between arachnids and literature, art, folklore, paleontology, science, and history. You’ll see 100 live arachnids (!) 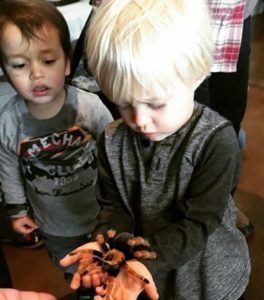 and experience hands-on activities – hopefully, the live arachnids are not the hands-on activities, but you’ll have to go see it in order to find out. 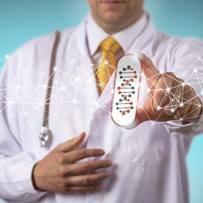 Precision medicine is the use of an individual’s personal health history, family history, and genomic information to develop a personalized health treatment plan. Intermountain Precision Genomics has implemented precision medicine in oncology, primary care, and mental health, and says it’s yielding exciting outcomes for patients. The speaker, Dr. Lincoln Nadauld, is the Director of Precision Medicine and Precision Genomics at Intermountain Healthcare. He oversees the clinical implementation of genomic cancer medicine across its 23 hospitals and 180 physician clinics. An RSVP for this event is not required but greatly appreciated. ThePark City Farmers Market is at the base of Park City Mountain Resort this year! The seasonal market is open for business each Wednesday and features a large selection of fresh, local goods. Stop by and stock up on just-picked produce, freshly-baked bread, and arts & crafts from local producers and vendors. Learn about how Park City’s nonprofits support and provide resources to our community – and how *you* can get involved through volunteering. Hosted by Newcomers of Park City, the Nonprofit Community Fair will be held at Park City Community Church. 22 nonprofits will be highlighted at this free event, and refreshments will be served. 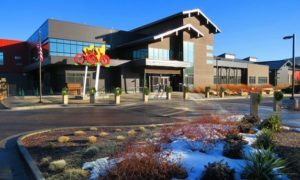 The Park City MARC hosts Lunch & Learns related to your health and wellness happen every second Wednesday of the month. Join them from 12 – 1 PM in the Party Room to discover more about Ayurveda for health and wellness.